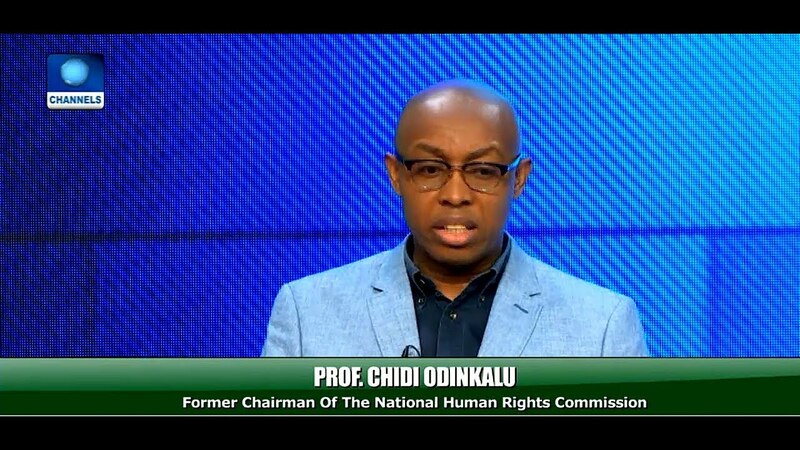 A former Chairman of the National Human Rights Commission, Professor Chidi Odinkalu, says the war against corruption, is no longer on course. He said this on Tuesday during his appearance on Channels Forum, the initiative by Channels Television which brings opinion leaders and policymakers together to discuss and find solutions to Nigeria’s problems. According to Professor Odinkalu, the war lost its credibility because there are questions about the Federal Government’s sincerity in the fight. The government has been criticised over time for allegedly failing to prosecute people it had ties to and for targeting opposition figures. Professor Odinkalu believes the criticism has its merits. Asked if he thinks the war against corruption is on course, the human rights activist responded quickly with a ‘No’. He said, “I think quite honestly, it’s been discredited. And I will give you an example just to illustrate it. The Minister of Information goes on record to release a “looters” list. And who are the looters? All of them are undergoing trial. Other cases he believes tarnished the anti-corruption war include that of the former pensions boss, Mr Abdulrasheed Maina, who was reabsorbed into the Federal Civil Services after being dismissed under the Goodluck Jonathan administration and declared wanted by the Economic and Financial Crimes Commission. He also faulted the failure of the government to prosecute the former Secretary to the Government of the Federation, Mr Babachir David Lawal, who was dismissed after being indicted for corruption and an investigative committee led by Vice President Yemi Osinbajo. As far as the human rights activist is concerned, “something as significant, as important as fighting corruption cannot be sacrificed on the altar of political expediency”. “This, really, I think is the problem that people have got with what is said to be fighting corruption. You’ve got to fight it without regard to the political camps people belong,” he added.